Arlin Fatland’s 2 Wheelers in Denver, Colo.
Cherokee County Cycles, Andrews, N.C. The oldest Harley shop in Pennsylvania has been run by the same family since 1949. The large Harley-Davidson factory on Arsenal Road in York, Pennsylvania has been there since the early ’70s. A frequent destination for Harley-oriented groups, the plant offers its ever-popular tours five days a week. Across the street and a half mile down the road is another popular destination that has been around even longer: Laugerman’s Harley-Davidson. 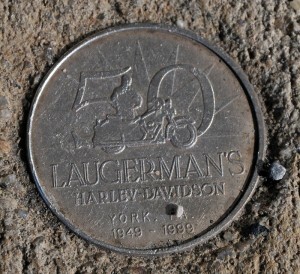 Laugerman’s, the oldest Harley shop in Pennsylvania, has been in business since 1949, and has been run by the same family for as long. 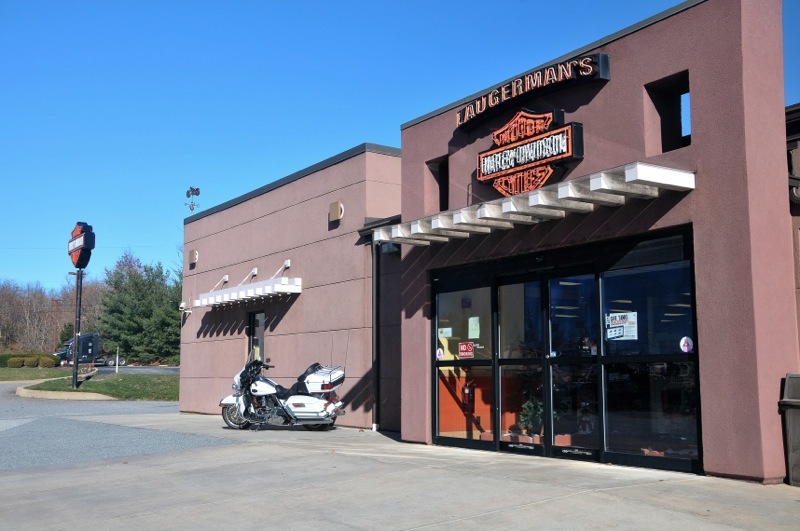 In addition to the normal reasons a touring Harley rider might want to visit a dealership, from buying a souvenir T-shirt to replacing a threadbare tire, Laugerman’s is frequently a destination in itself. 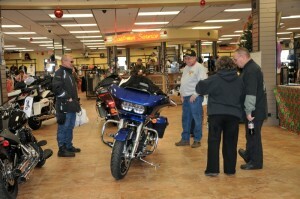 People often travel to Laugerman’s just to see the Hall of Memories, a section of the dealership set aside for classic bikes and memorabilia. “We get groups from churches coming with their kids,” says Heather. Laugerman’s started as a hobby in a garage. 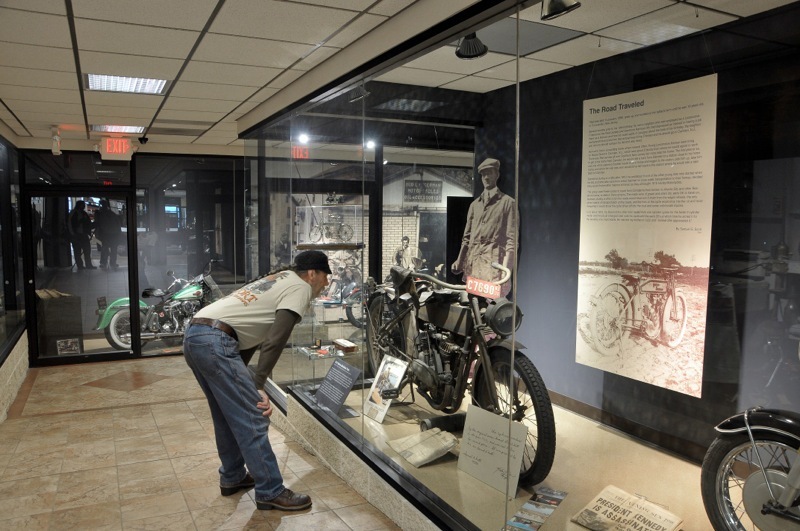 “Bud“ Laugerman would work a full day at his factory job, come home to his place in Hanover, near York, Pennsylvania, and wrench on customer’s motorcycles in the evening. His wife, Dolores (Mom to generations of customers) remembers Bud taking everything from wedding rings to television sets in trade and carrying customer’s debt for years. Most customers eventually paid him in full. In 1949, Bud became a sub-dealer for De Grange, the Harley dealer in York. He bought out De Grange in 1954. Local good will kept the dealership going through the lean years of the 1950s. By 1968, business was much better, and the shop was so squeezed for space that Bud had to move to a larger storefront. Bud and Dolores’ son Dave started working in the dealership in 1969. He was joined in 1970 by his brother Mike. 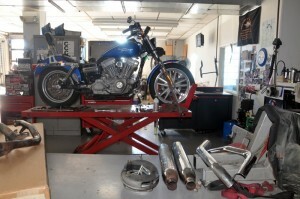 The company moved to its present location in the fall of 1993, near Harley-Davidson’s Vehicle Operations Plant. Bud Laugerman died only a year later. 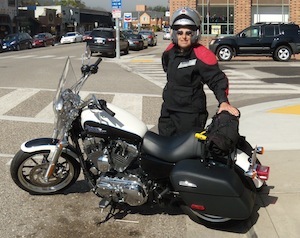 His loss was felt by both the York business and motorcycling communities. Mike and Dave continued the business, with the support of their spouses. Mike’s wife, Donna, started running the MotorClothes department in 1987, while Dave’s wife, Denise, came on board in 1989 to head up the parts department. Recently, four of Bud and Delores’ granddaughters, Falecia, Sandy, Heather and Julia, have joined the company and are taking a more active role in the day-to-day operations of the dealership. The plan is for the younger generation to take over completely in a few years. Laugerman’s is not only a family tradition for the people running the dealership. There are many people in the area who were introduced to the shop by their parents or grandparents, and who are in turn bringing their children. Some of the older customers have been around almost as long as Laugerman’s has been open for business. “There are some people who have bought a bike from my grandfather, my father and from me,” says Heather. Under the tutelage of the founder, Bud, all of Laugerman’s management and employees have a strong sense of customer service, and the uniformly positive online reviews from customers reflect this. “We get lots of word of mouth referrals,” she says. 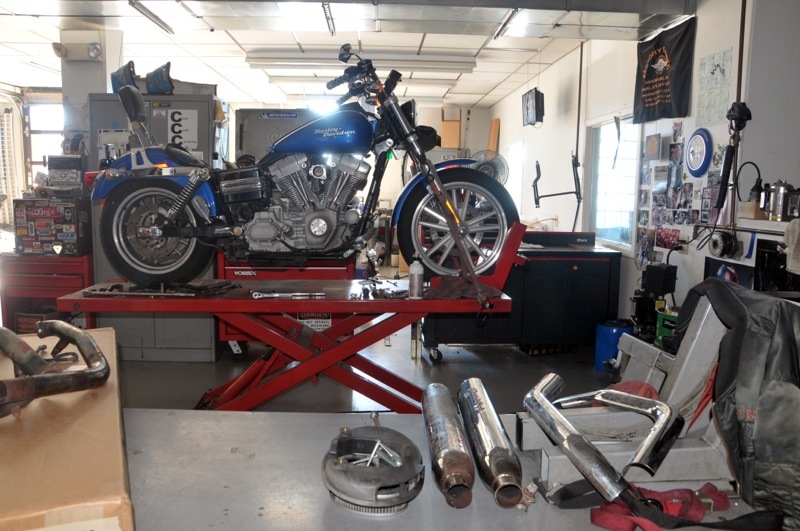 In addition to the mutually beneficial relationship with the Harley plant, Laugerman’s also has a symbiotic relationship with the local HOG (Harley Owner’s Group) chapter. Dave and Denise Laugerman and Heather Goodwin and her husband all participate in the monthly rides and events. 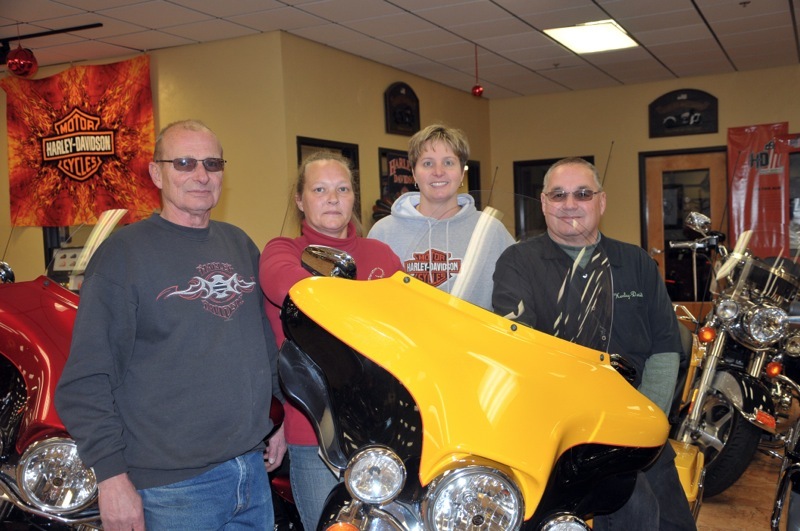 In turn, the HOG chapter takes new riders under their wing, “showing them the ropes,” and giving them a comfortable place to learn and grow in the sport. 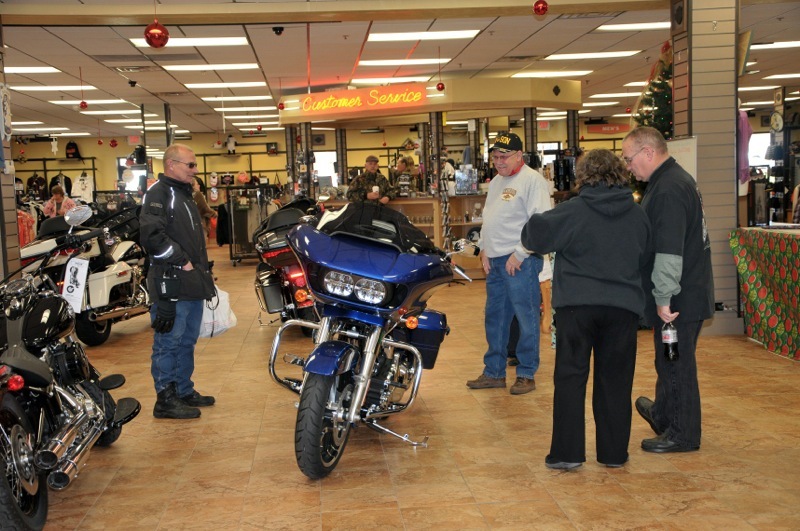 The HOG chapter also helps experienced riders who have recently moved to the area, showing them the best places to ride – and introducing them to Laugerman’s. The shop advertises specials, seasonal deals and promotional activities on Facebook, and encourages customers to post photographs and comments. As a result, Laugerman’s customers post a considerable portion of the content on Laugerman’s Facebook page. The Laugerman’s website is somewhat bare bones as of this writing, but that will change shortly. A new refurbished, and much more extensive website is in the works, with a launch date set for January.